Visiting a different campground each week requires our full-time RV living family to keep track of so many details. Where did we camp? Was there good cell signal there? Did we have full hook ups or just water and electric? Was there a pool for the kids to play in? Was there a grocery store nearby? What about shade or a fire ring at our campsite? In the past, I tried to keep track of campground details using our Google Calendar....but man, we've gotten really bad about recording the details. What I really needed to do was keep a camping journal. THIS ARTICLE MAY CONTAIN COMPENSATED LINKS. PLEASE READ OUR DISCLAIMER FOR MORE INFO. The thing is though, I don't have time to write in a campground journal each time we set up at a new campsite. At least, I don't FEEL like I do. Most importantly, I would not be good about going BACK to the the journal when planning out our travel and campsites in the future trying to remember what month of the year we visited that particular campground. That's why when I learned about The Ultimate RV Logbook, I knew I had to have one! 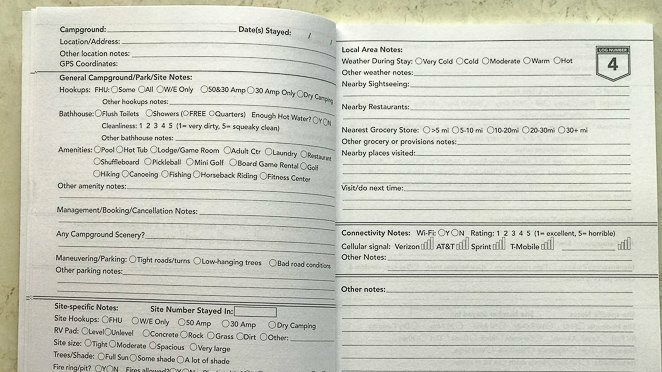 This RV logbook is the most efficient way to record your campsites as you travel, and it is set up to help you reference back to them too! The Ultimate RV Logbook provides several really helpful sections. First, it provides 2 pages ready for you to fill out for each campground you visit. I appreciate that there are checkboxes, bubbles to fill in, and areas that prompt me to quickly fill out all the information I want to be able to reference back to. These pages are labeled Log Number X with 52 logs provided! Side note: 52 weeks of the year for full-time traveling RVers is perfect! The 2-page campground log is broken up into 6 simple sections. As a digital nomad family, I especially appreciate the section Connectivity Notes section where I can rate cell phone carrier and signal at that campsite location. THIS is what we depend on for our income, so it's really important for our family. 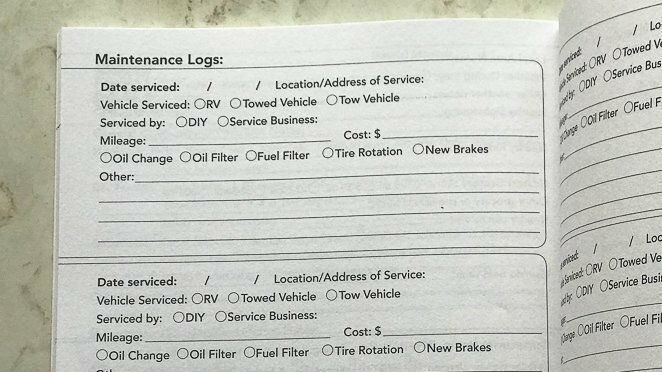 Near the back of the logbook there is a section called Maintenance Logs. Which is such a great idea and something we SHOULD be recording. I love that it allows me to check off if I'm recording the maintenance of our RV or our towed vehicle too. The part that makes this campground logbook so efficient for regular campers is the very back. It's titled the Reference Index Log By State. This works slick by allowing you to record your log number under the state that the campsite was located. If you are thinking about buying an RV, RVing full-time, camping on the weekends, or already have an RV then this book is right for you. 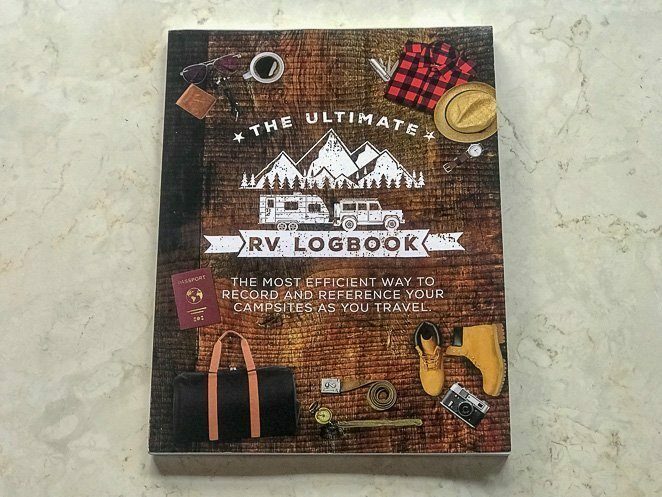 Click here to check the latest price on the Ultimate RV Logbook. It's very affordable and would make an excellent gift for any camper. 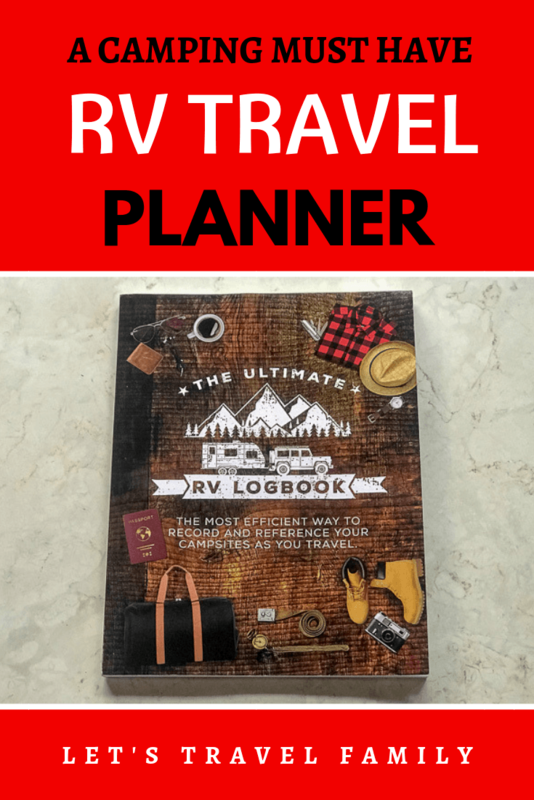 Did you know that Fulltime Families has their own edition of the Ultimate RV Logbook? Learn more about Fulltime Families here. 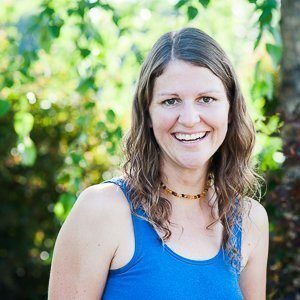 Disclosure: A special thank you to Nomadic Souls Gear and Apparel for donating a copy of The Ultimate RV Logbook to be given away to one of you! All opinions are my own. Let’s Travel Family is a participant in the Amazon Services LLC Associates Program, an affiliate advertising program designed to provide a means for sites to earn advertising fees by advertising and linking to amazon.com, amazon.co.uk, amazon.ca. Amazon and the Amazon logo are trademarks of Amazon.com, Inc. or its affiliates.